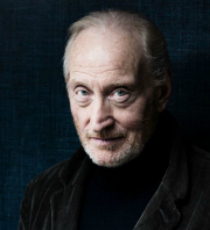 Charles Dance is a Bafta-nominated actor whose film credits include The Imitation Game, Dracula Untold and Last Action Hero. He also played the role of Tywin Lannister in Game of Thrones and voiced a character in video game The Witcher 3: Wild Hunt. Charles also starred in Ghostbusters and Me Before You, as well as 2018 TV series The Woman In White.